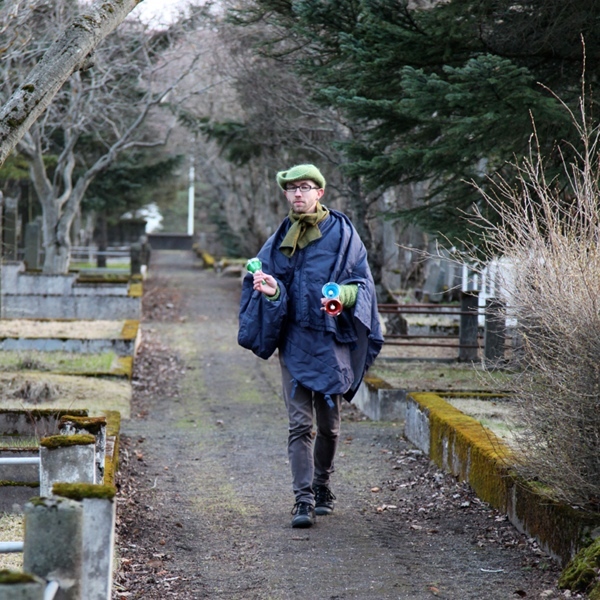 A collaborative performance piece set in Holavallagarður cemetery in Reykjavík, Iceland. Artist Ásdís Sif Gunnarsdóttir and I created a work based on her original texts. Several stereos were placed throughout the cemetery freely playing newly-composed electronic and electroacoustic music, which wafted through the site as birds sang and ambient sounds mixed with the soundtracks. Singers in rang hand bells throughout the cemetery and sang fragments of melodies, traditional songs, and spoke the names of the residents resting in the graves. The group gathered again for spoken texts and then to sing an ensemble work. As the weather in late April in Iceland was colder than expected, the work became a beckoning for spring to come quickly.